Thanksgiving is a time to reflect on the previous year and count all of the blessings in our lives. We are so thankful for many things but mostly for God’s blessings upon us, each other and every one of our customers. We believe in high quality organic products and it is obvious that you do too. We are thankful for our health which is all too often overlooked. We are thankful for each other, because without all hands working together, Splendor Garden wouldn’t be as successful as it is today. 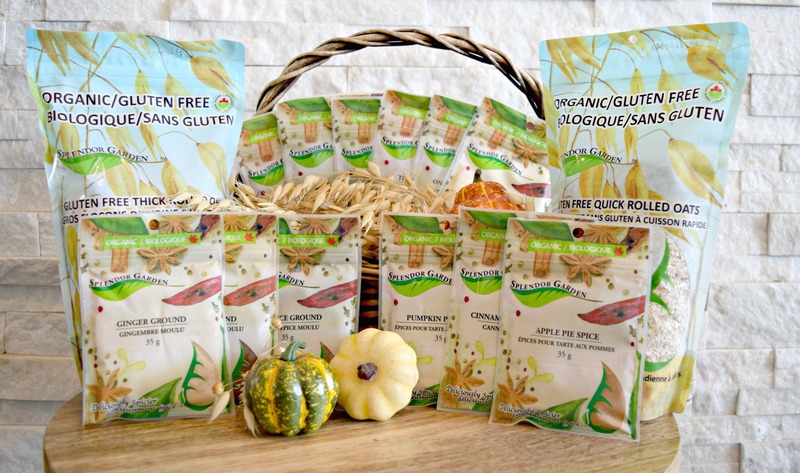 To help celebrate all that we are thankful for, we are giving away a Flavours of the Fall basket! All of our herbs, spices and oats are certified organic, non-irradiated, non-GMO and not treated with any chemicals! 2) In the comment section, tag someone that you are thankful for and tell us why. Contest begins on September 28, 2016 and closes October 5, 2016, noon (CST). All steps (listed above) need to be completed to qualify as one valid entry. Participants must be 18+ and a resident of Canada. One winner will be chosen at random and contacted through Facebook or email. 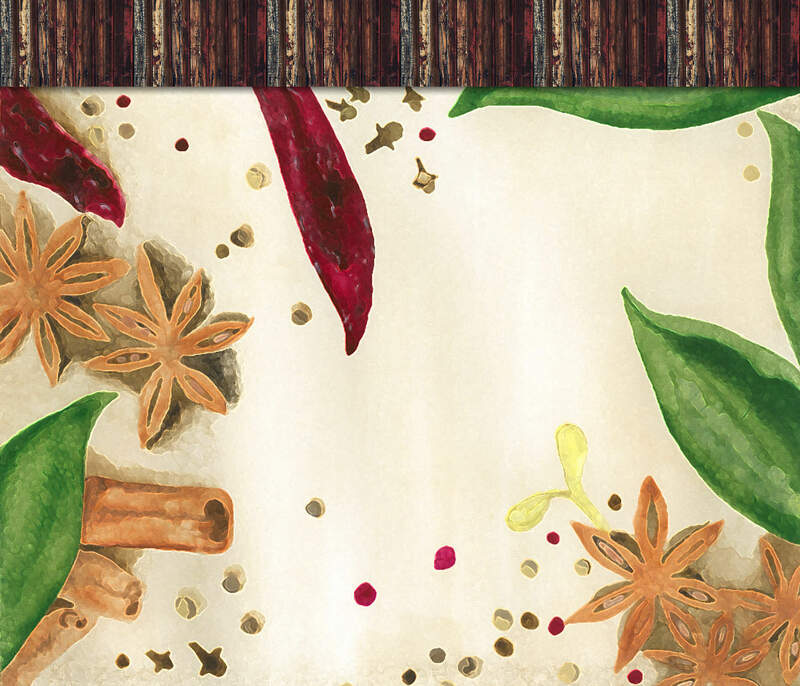 The winner’s name will be included in the contest post of the Splendor Garden Facebook page. The winner’s address will be required in order for the prize to be mailed. *This contest is in no way sponsored, endorsed or administered by, or associated with, Facebook. You are providing your information to Splendor Garden and not to Facebook. The information you provide will be used for this contest and will not be shared with any other party outside of Splendor Garden. My family loves french fries but I have a hard time giving in to their fast food temptation as much as they’d like. I worry about quality, nutrients, calorie content and of course the many ingredients I can’t pronounce. I want to give the best to my family and also see them happy. 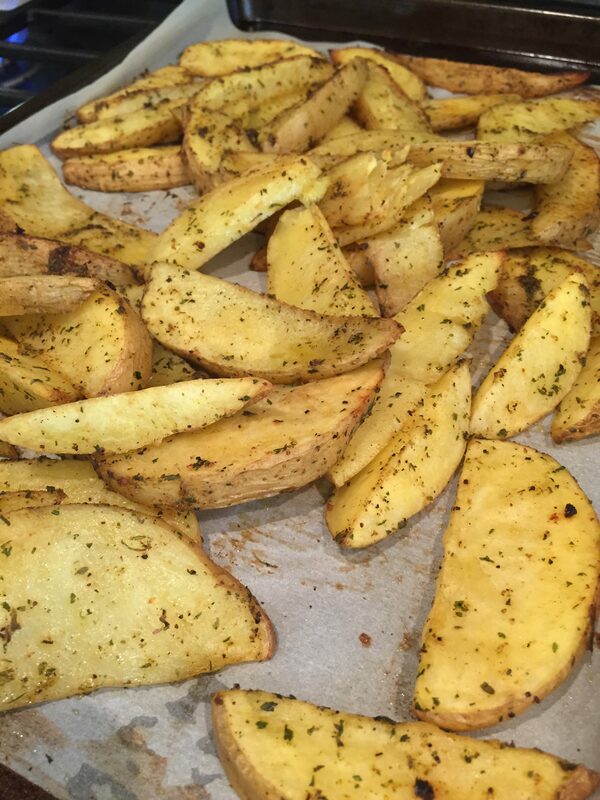 I served these Southern Potato Wedges last night and I heard the VERY best thing any parent could hear. “Mom! Can we have these EVERY night? They are so yummy!”. The angels started singing and cast their light on my weary mom body. I had done it! I was Rocky Balboa in that moment, standing atop those stairs. I couldn’t be beat! Enjoy this super easy 4 step recipe as a side dish tonight! STEP 1: Preheat oven to 400 degrees. 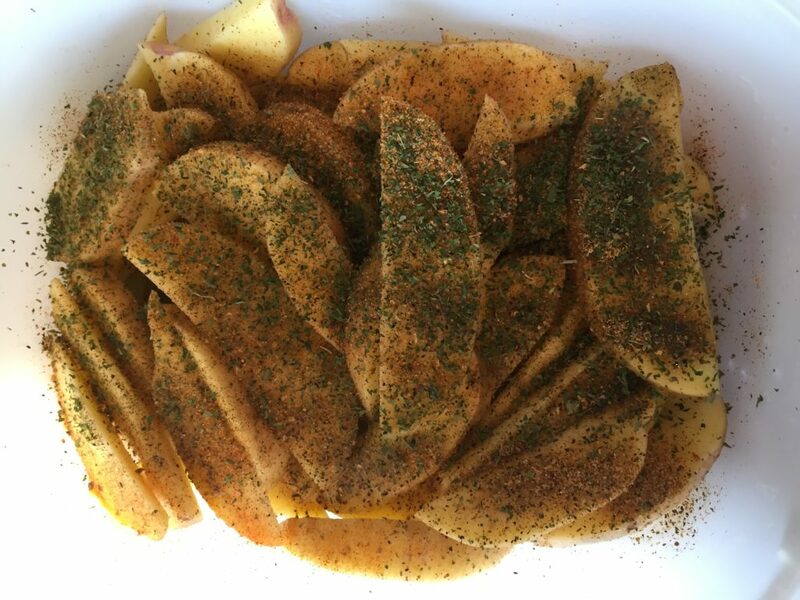 Slice potatoes into quarters. Then slice each quarter into thirds. 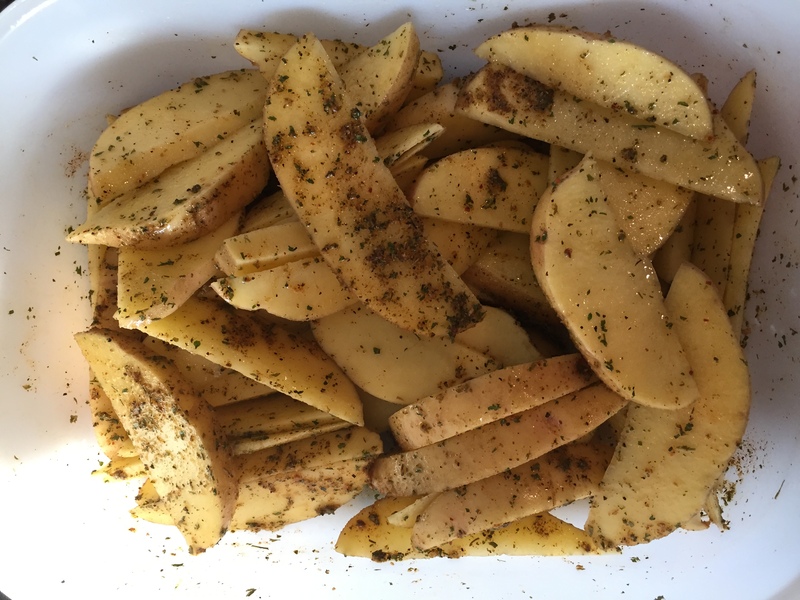 If you have larger potatoes, slice them until the wedges are approximately 1/4 – 1/2 inch thick. Rinse your wedges in cold water and drain excess. Drizzle with olive oil and seasonings. STEP 3: Spread evenly on a parchment paper lined baking sheet. Bake for approximately 45 minutes turning once half way. Everything is better with lemon butter. I’m talking melted, warm, seasoned to perfection yummy butter. Seafood screams to be dunked in it. Go ahead and treat yourself to a delicious seafood night but make sure you have plenty of this butter recipe on hand! 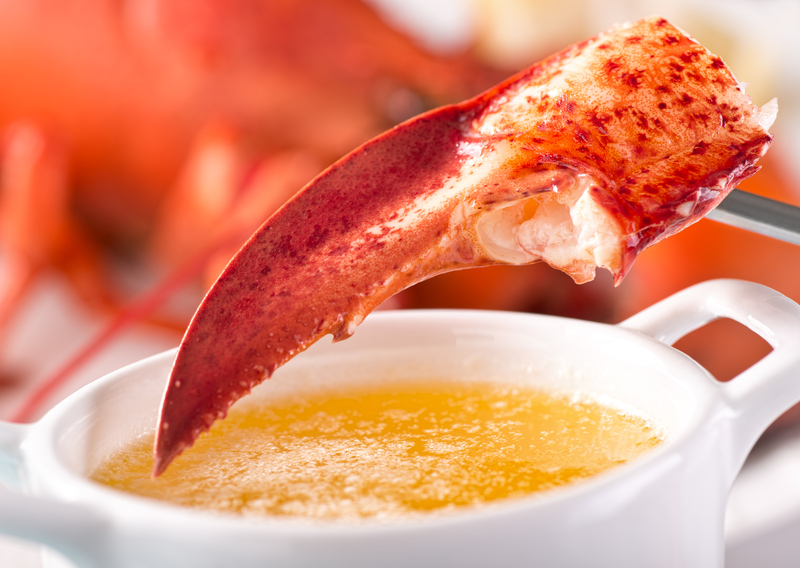 A delicious atlantic lobster claw with melted lemon butter. To make the lemon butter sauce, melt 2 tablespoons butter in the skillet. Add garlic and cook, stirring frequently, until fragrant, about 1 minute. Stir in lemon juice; Seafood Seasoning and season with salt and pepper, to taste. Wanting to know how to steam a lobster or crab at home? It’s easy! 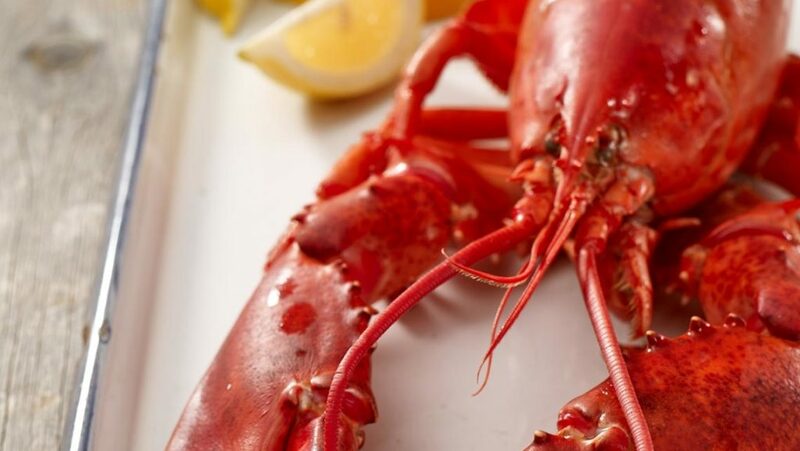 Check out this recipe at Maine Lobster. The air has been crisp and fall is in the air! Apples are plentiful at this time of year. The squirrel in me is always looking to store my fresh organic produce to enjoy in future months. I have been making Freezer Apple Pie Filling from the crab apples on my tree for years and I love how one jar is perfect for one pie. Zest & juice the lemon and set aside. In a large pot, combine both sugars, corn starch, cinnamon, nutmeg, salt and water. Bring to a boil while whisking over medium-high heat and let boil 2 minutes until thick and bubbly. Stir in apple slices and cover. Reduce heat to low and let simmer 10 minutes or until apples begin to soften. They do not need to be completely cooked! Remove from heat and cover. Let cool about 30-40 minutes, checking periodically. Your apples should be soft but not mushy. Ladle equal amounts into glass jars. I found that one quart jar is exactly one 9″ pie! Let cool on the counter and then freeze for up to one year. Defrost in the refrigerator overnight and bake as normal recipe calls for.